Deborah Wiggins is happily married to Archbishop Allen T.D. Wiggins. She is the proud mother of five and grandmother of two. Her Family is her pride and joy. She has served at The Hope Church for over 30 years and has had the honor for the past 17 years of serving under the leadership of her husband. In addition to being the First Lady of The Hope Church, she is an ordained minister, an author, an entrepreneur, and a TV Personality. Lady Deborah self-published her book, My Testimony – Life, Lessons and Legacy. 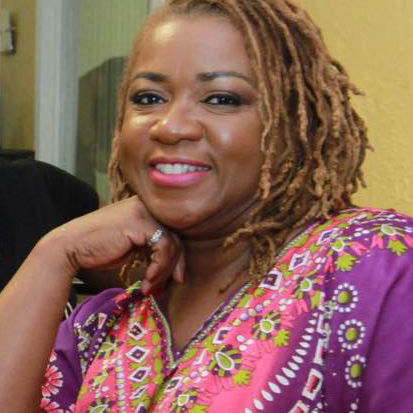 Fifteen years ago she launched her business, The Lady’s Place, and she is widely known as a member of the Current Ladies on Good Life 45. Lady Deborah’s personal mantra comes from Revelation 12:11 – And they overcame him by the blood of the Lamb, and by the word of their testimony; and they loved not their lives unto the death. She uses her personal testimony as a testament to the power of our God to transform lives. Lady Deborah Wiggins strives to be a mental model of a Godly woman: a wife, mother to her children and spiritual mom to those that she is blessed to be in relationship with.